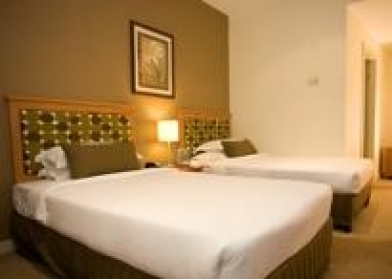 "Award Winning Hotel in a Prime Location"
This 4 star hotel is well placed in the heart of Melbourne’s CBD, making it an ideal position for business or leisure. Whether your desire is for shopping, sport or theatre, Citigate Melbourne is the perfect location. Trams and trains depart from our doorstep, and the hotel is within easy walking distance to major attractions, including Chinatown, Crown Entertainment Complex, sporting, shopping and dining venues. Citigate Melbourne hotel is a superbly located Melbourne hotel in Melbourne CBD on Flinders Street, opposite the historic Flinders Street station. Just 22 kilometres from Melbourne Airport, this 4 star Melbourne hotel is close to all major sporting, shopping, fashion and restaurant precincts within Melbourne and Southbank. Superbly located on Flinders Street opposite one of Melbournes most renowned and historic railway stations Flinders Street Station.